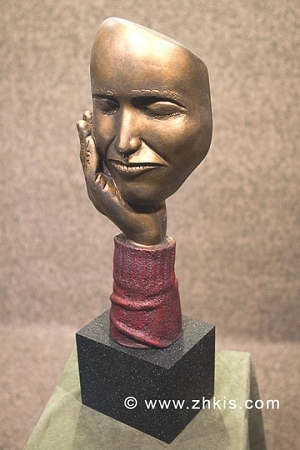 Hand on Face Sculpture. Has a meditative look to it. 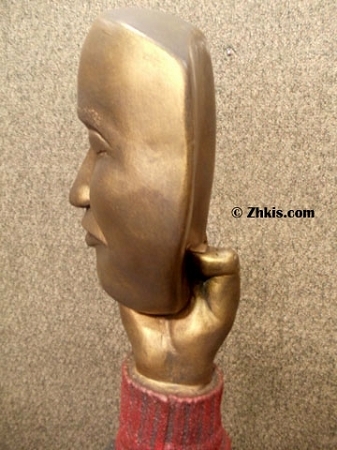 The piece shows a mans face resting in his hand. The piece is very contemporary and has a meditative look to it. Made to order. Other finishes available upon request. Let us know what finish colors you would like.